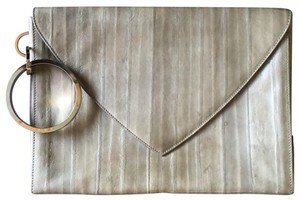 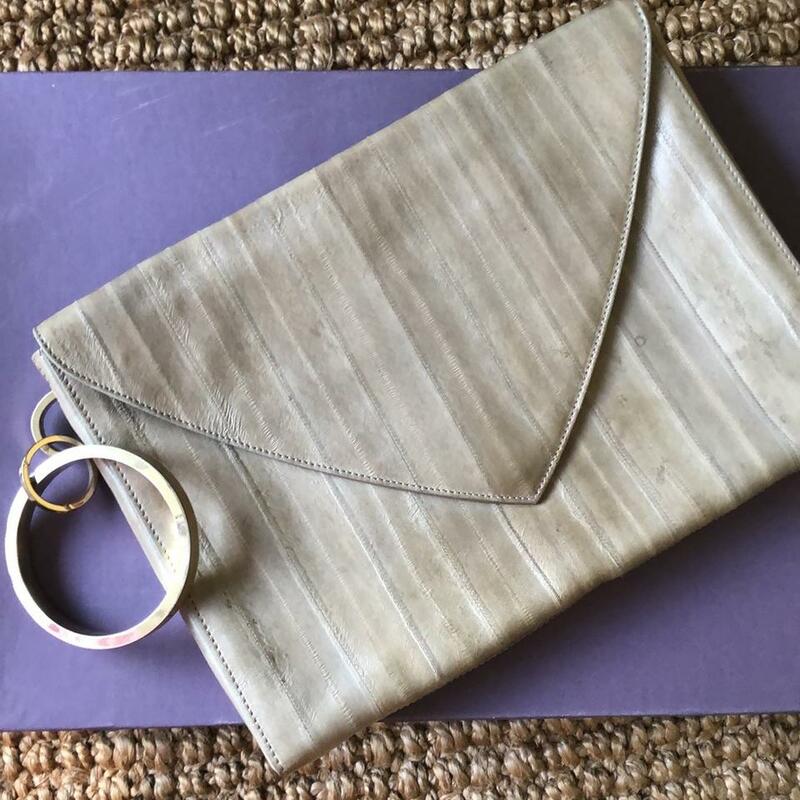 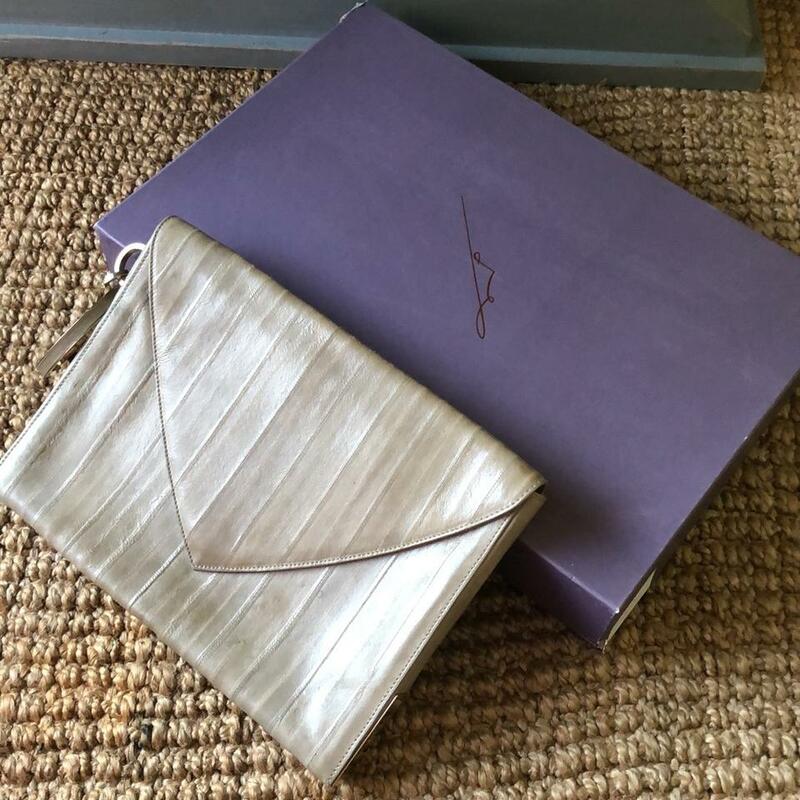 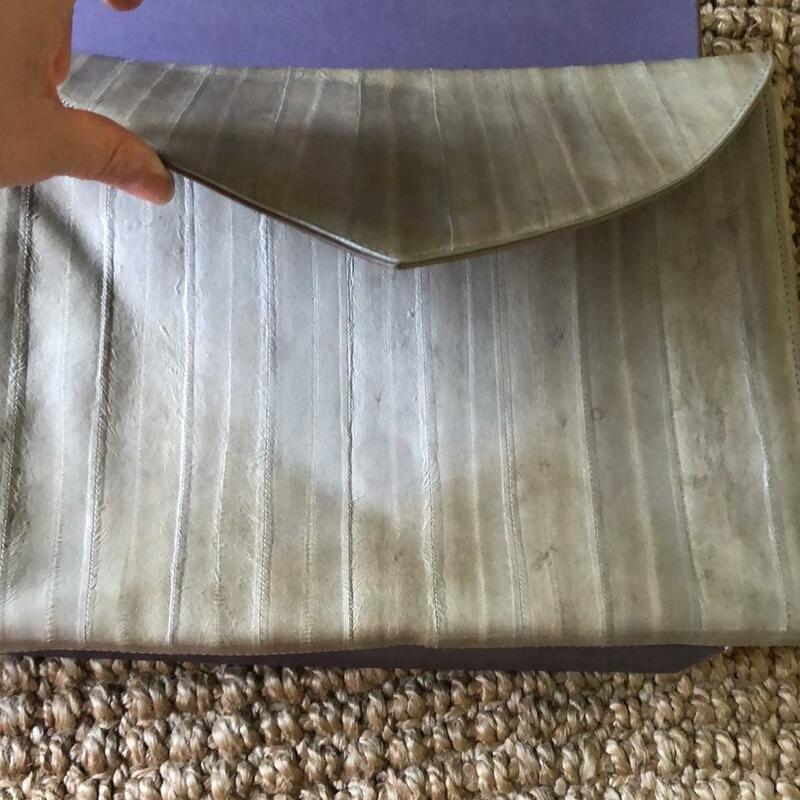 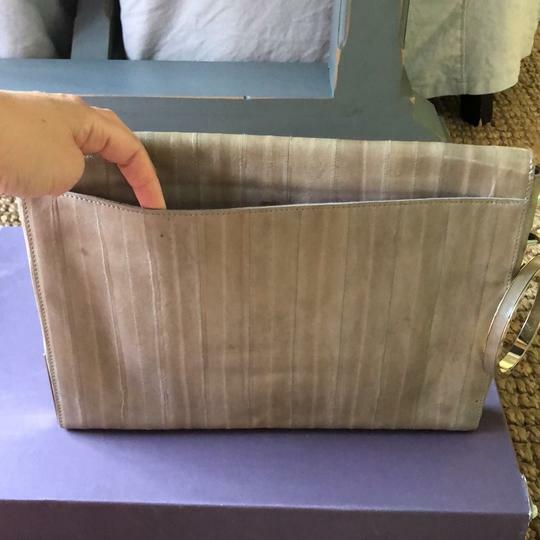 Beautiful washed out gray envelope like clutch. 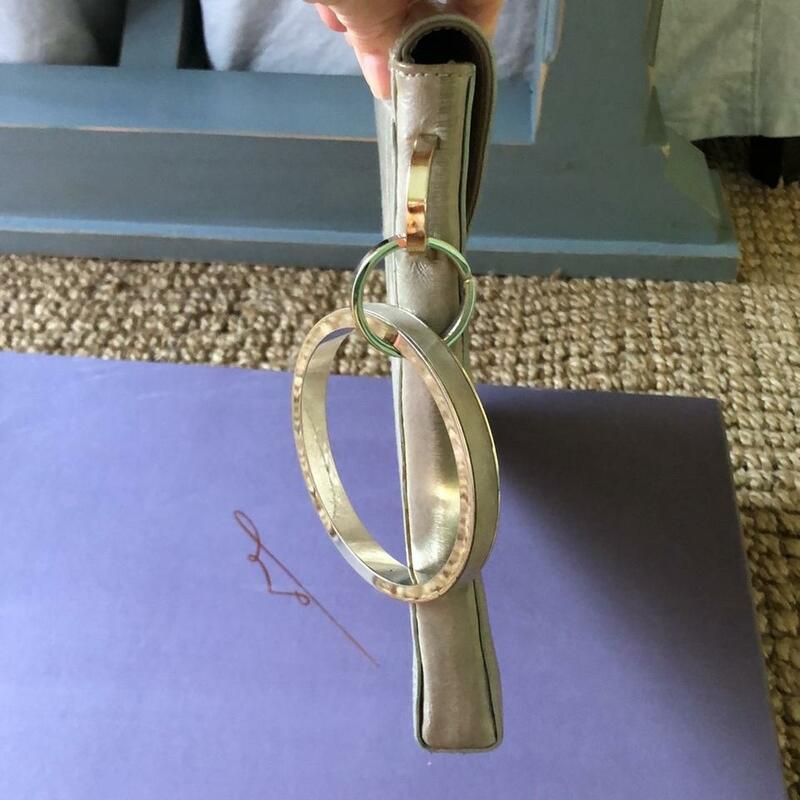 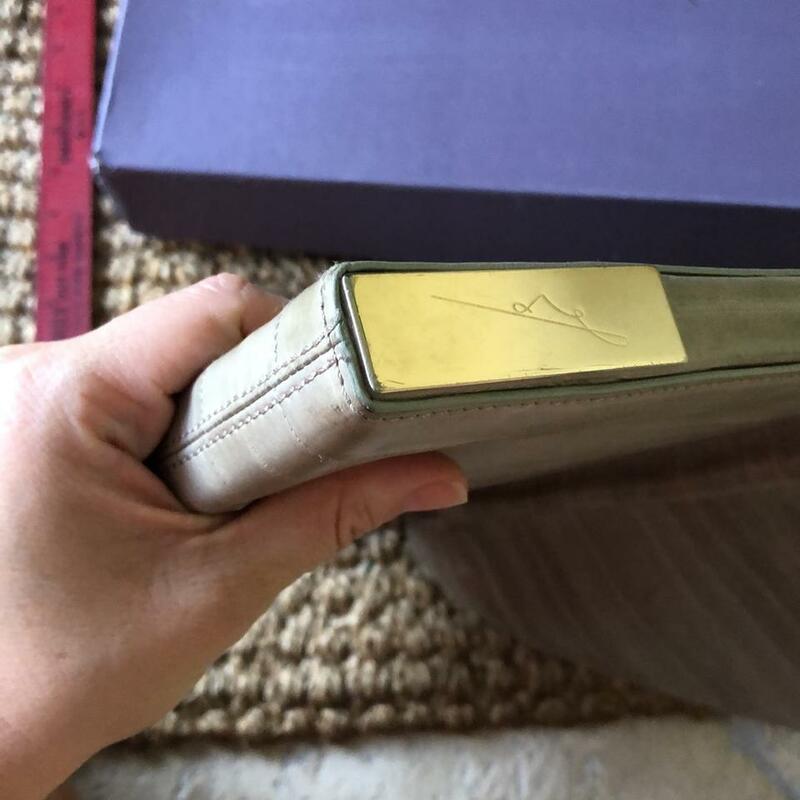 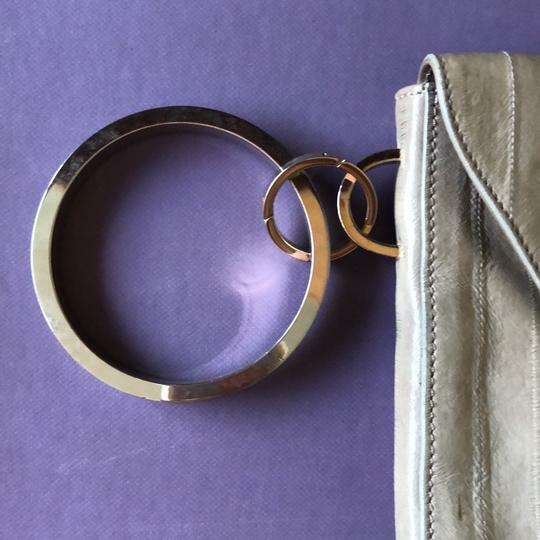 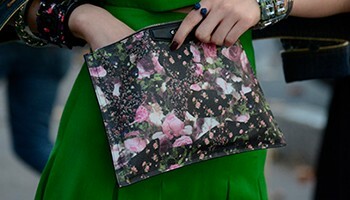 Ring on the side can be removed or worn as a wristlet. 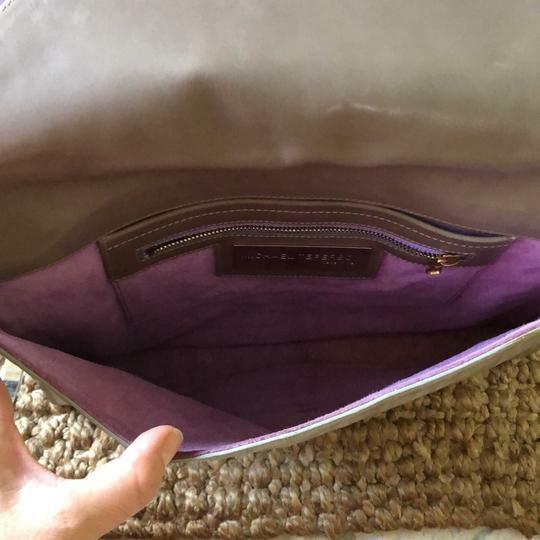 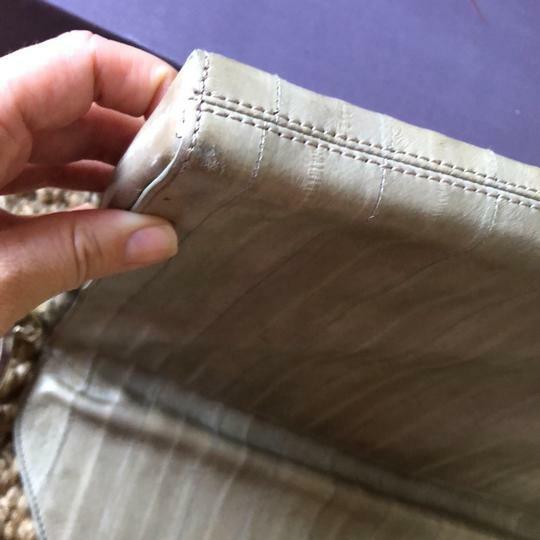 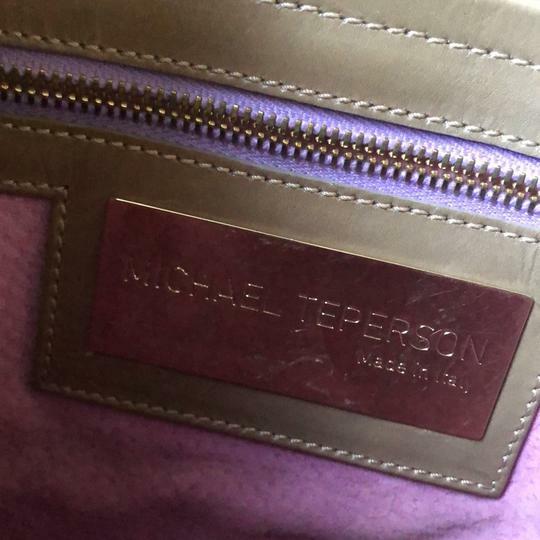 Interior lining is a beautiful lavender color, has no damage. Comes with original box.